After very positive feedback from team members initial orders of Trisuits and Speedsuits I am happy to announce that the range of performance clothing from Ellmore Clothing has been expanded. The full range now includes full cycling and running apparel and all will be based/mimic the original design of the Tri / Speed-suits below. All apparel is male and female specific and the trisuits continue to have the option of zip placement (front or rear) and an option on pockets (yes/no), the speed-suits continue to have a single design of the zip placement on the front and no option of pockets. 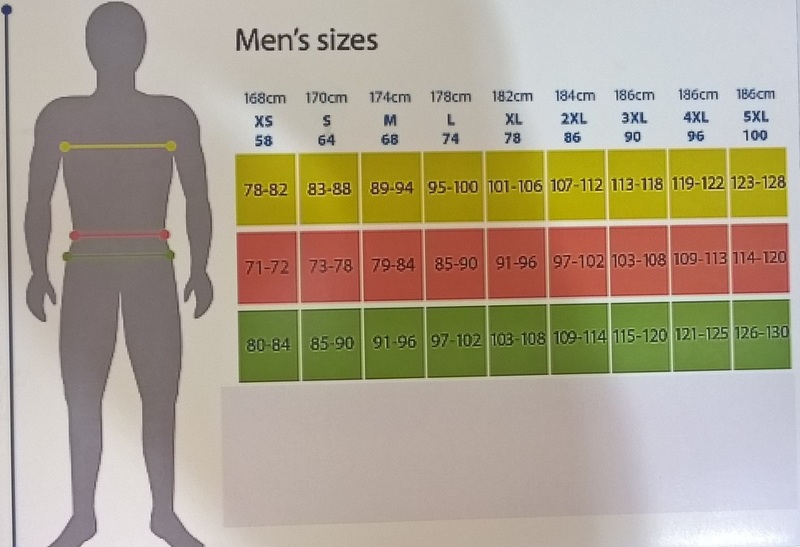 If you are interested in exclusive TRI-SL clothing an order will be placed on the 19th March to ensure all clothing ordered is available for the summer race season, a sizing chart for both male and female clothing is at the bottom of this page a comprehensive price list is below. All orders are made exclusively for you so please make sure you take the time to size yourself and place the appropriate order as items can not be returned for alternative sizes. To place any orders please email your selection and sizes to tri-sl-training@outlook.com if selecting a trisuit please make note of your zip placement preference and if you require pockets or not.